class="post-template-default single single-post postid-353173 single-format-standard custom-background group-blog header-image full-width singular wpb-js-composer js-comp-ver-5.7 vc_responsive"
Scottsbluff, Neb. 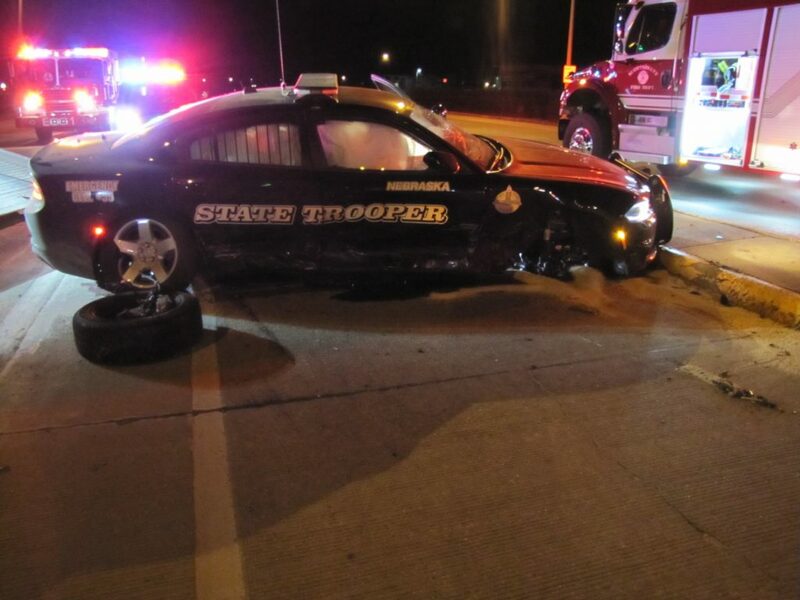 — Two troopers were uninjured late Tuesday evening after the marked Nebraska State Patrol (NSP) cruiser they were driving was struck by another vehicle at an intersection in Scottsbluff. The crash occurred at approximately 10:15 p.m. MT Tuesday, when the troopers were traveling westbound on Highway 26, proceeding through a flashing yellow traffic light. At that moment, a 2003 Dodge Stratus was traveling southbound on 5th avenue, ran the flashing red traffic light, and struck the passenger side of the patrol unit. Both troopers were wearing seatbelts at the time of the crash and suffered no significant injuries. The three occupants of the Stratus also suffered no significant injuries. Both vehicles were totaled. NSP asked the Scottsbluff Police Department to investigate the crash. Scottsbluff Police issued a citation for violation of a traffic signal to the driver of the Stratus.